You’d be surprised by the number of emails we receive from folks who ask if they can use their eagle eye for numbers and still be successful in proofreading transcripts. These folks would actually be better off learning how to start a bookkeeping business! 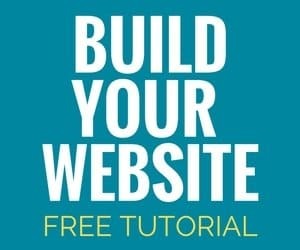 Looking for info on the free 3-part starter course? Click here. The truth is, yes, you can, but you’d need to read a ton of words, too, so your eagle eye for words still needs to be very sharp. But if your eagle eye is not sharp for words, and you’re hanging on thinking, “Proofreading would be a great fit for me, if only it were numbers instead of words!” — there’s still hope! 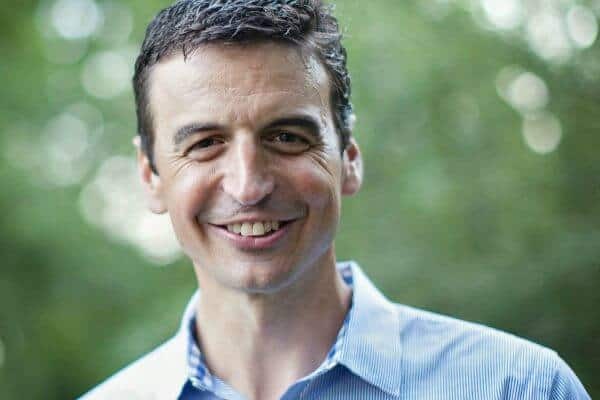 I interviewed my friend Ben Robinson, a CPA from Arkansas, who’s had tremendous results training people how to start a bookkeeping business from home from the ground up. Eagle eyes are paramount in this kind of business, too, and we here at PA deem it an excellent alternative opportunity for folks with eagle eyes … for numbers. I asked Ben several questions to help readers here on PA understand what Ben does and how he does it — plus help you decide if a bookkeeping business may be a better fit for you than a proofreading business. Tell us a little about yourself and your background, Ben. I am a CPA by trade — which, of course, means the life of every party. For 14 years, I owned CPA firms where we helped business owners with their bookkeeping, accounting and tax needs. In January 2015, I sold my firm to focus on the next phase of my professional career which, now, is helping people start and grow their own successful bookkeeping business. What’s your favorite part about your job now? AND — how much money can be made doing bookkeeping from home? One of my favorite things about helping people start a bookkeeping business is to play a small role in helping them create freedom. Of course, money plays a big part in creating freedom in our lives. 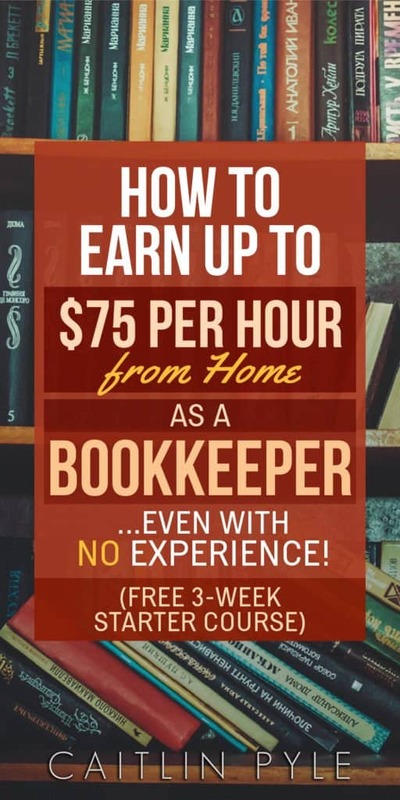 With a virtual bookkeeping business run from home, you can earn a part- or full-time income. Our program teaches students how to make a net profit, per client, of $250 per month at a minimum. Average client work takes from 3-4 hours per month for this style of client. This means a hourly equivalent of more than $60. Now, this isn’t the case for most traditional bookkeepers. In fact, you need to make sure to work as efficient as you can to earn this kind of money. You have to follow a proven plan to earn this kind of money. The bottom line, however, is that whether you want to earn a few hundred or a few thousand, you can do it with your own virtual bookkeeping business. How flexible is this kind of work (for stay-at-home moms, digital nomads, etc.)? This is very flexible work when done the right way. In a traditional bookkeeping model, the flexibility is almost non-existent. Most traditional bookkeepers travel to their clients’ offices and are at the beck and call of their clients. However, in a virtual bookkeeping business model, all of these old rules are tossed out. This enables you to have almost complete control over your schedule. A virtual, in-home bookkeeping business can be one of the most flexible businesses available. A lot of my students are stay-at-home moms: some with infants. They can complete their work during nap time, lunch time or bed time… it’s their decision. Of course, you do have some obligations — such as communicating with clients — that can only be done during the workday. However, those activities are the exception and not the rule. The bulk of the work is 100% flexible. Is it really possible to start this kind of business from scratch? Absolutely! And, it’s actually preferred that my students have no prior experience with bookkeeping. You see, to date, I’ve trained 117 people to become great bookkeepers (hey, I am a CPA, so I have to keep track of numbers, right?). The bookkeepers that perform well and go on to start and grow successful bookkeeping businesses have no prior experience. They build their businesses from the ground up. It is a simple business model. Every business is required to do bookkeeping. It is not a hard sell to potential clients. However, even though it is simple, it isn’t always easy. It requires a lot of work like any successful business — especially on the front end. However, your hard work pays off in spades as you create the life of your dreams: near-complete freedom and flexibility. Tell us about your build-a-bookkeeping-business course. Why might a bookkeeping business be a good fit for people with eagle eyes? Our flagship training — Bookkeeper Business Blueprint — is a turn-key program. It’s one of a kind in that you learn 1) bookkeeping knowledge, 2) how to run your business in an effective and efficient manner and 3) how to become a client magnet even if sales and marketing terrifies you. Having said that, there are some qualities that someone needs to have before they make the decision to become a great bookkeeper. 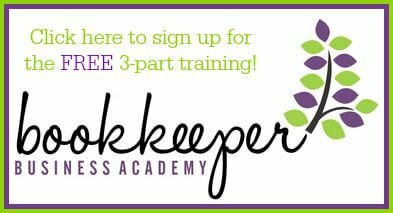 In the first session of our free, 3-part training, I walk students through the qualities and character traits they need to have to make sure they are set up for success as a bookkeeper. Not everyone is cut out to be a great bookkeeper. However, a lot of the character traits that make someone a great proofreader are shared with becoming a great bookkeeper; chief among these is the “eagle-eye” quality you mention here on PA. The only difference is that proofreader’s eagle eyes are more in tune with the alphabet and bookkeeper’s eagle eyes are more in tune with numbers. We really jive with Ben’s upfront, honest, transparent, authentic style. Just like proofreading isn’t right for everyone, neither is bookkeeping, and we love that he is open about that fact. Eagle eyes truly do come in all shapes and sizes, and if words aren’t for you, we’re happy to point you in the direction of something more your style. We also really dig how Ben’s program includes not just how to do the work, but how to GET the work, too. We’re big on that here at PA — who cares how good you are at something if you don’t know how to get clients? Ben’s full program covers it all. We’d recommend starting with the free 3-part training to see if it’s a good fit for you. Do you have a question for Ben? Leave a comment below, and he’ll answer you ASAP! 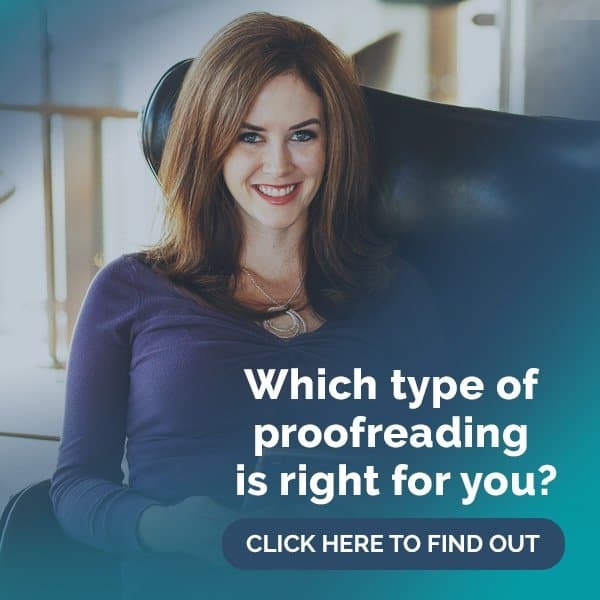 Interested in proofreading, too? That’s cool. We recommend our free 7-day intro course to help you ensure it’s a good fit for you. I love, love, love this. I am a graduate of the Proofread Anywhere course but my background is in tax / accounting / bookkeeping. I have been doing it for over 20 years and despite having a masters degree have considered going back to school to take the few accounting credits I am lacking to take the CPA exam. I have wanted to be a CPA since I was about 16 or so. I have a lot of accountants in my family. I took the PA course because I wanted to work from home and accounting is hard to do from home when a lot of your clients require an office in which to visit you. That wasn’t really the style of business I was looking for. I had already done that style years ago and I ended up traveling to a lot of clients. It just wasn’t cost productive. I started writing about taxes and accounting because at least that gave me a little bit of freedom and no commute. I know Ben says he rather have someone take the course without a bookkeeping background, but I am still interested in learning how I can go 100% virtual and still make decent money. As it is now, the only way I know is to visit all those freelance job boards like UpWork and bid on jobs. The competition there is overloaded. And, I just can’t compete with overseas workers who work for $2/hr. I am signed up for the 3-day freebie, so we’ll see how it goes. Chrystal, how do you like proofreading so far? I come from an accounting background (that’s actually what I’m doing now). I have been thinking about the Proofreading course. Were you already good at English? My boyfriend just finished his Masters in Accounting, and is having trouble finding work. I recently started TPT&P, maybe we could both be “eagle eyes” from home! Thanks for introducing us to your friend, Caitlin! Thanks, Caitlin, for this opportunity! My number skills are what I am using now in a trial, part time, at home job in scheduling and bookkeeping. Ben, would you email more information to me on the training costs and length of your course? Thank you! Thank you for your comment and question. I am more than happy to answer your questions. Please shoot me an email: ben@learntobeabookkeeper.com. Thanks again Monica! Numbers are my first love, but I have been loving proofreading also. 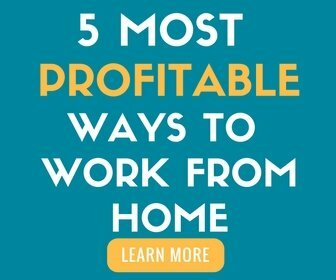 I love the idea of numerous streams of income working from home. I am signing up for the free course for sure and will keep you posted on the “paid” version. Thanks for being the introduction to Ben, Caitlin! Thanks, Jennifer!! I can’t wait to post some reviews for this program. Is there any up to date info on this program? Really need to know how successful it is? Is there a specific program we need to purchase to do this job? I have a computer and Microsoft Offfice Porfessional. I’m just wondering if there is something special that costs a lot to do this job. Also, how expensive is the paid version of the class? I’m already proofreading, but I do love numbers. Sorry for the typos. Apparently there’s no spell check on these things, and I fat-figured some things on my iPad. Ben goes over all of that in the free portion of the course. From what I understand, it’s a fantastic value! The 10 week full course costs between $997-1100 depending on whether you pay in installments or all at once. In addition to this you will need to invest about $1200 in start up costs to get going from what the 3 part free course says. I am still trying to figure out if the certification for the top 2 software companies (Xero and Quickbooks) are included in the course cost or will be an additional expense. As far as new business start up costs go this is very affordable but I can understand that it may still be out of reach for some. Keep in mind all of these costs are business expenses that will reduce your taxable income. Hi, Tiffany! About the certifications you’re wondering about, that’s a great question to pose to Ben Robinson, the man behind this terrific bookkeeping course. 🙂 He’s really great and responsive! Once you sign up on his site (if you haven’t already), you’ll get access to his site, his contact info will be available to you, and you’ll be able to query him. Please keep in mind also that the course fee cannot be deducted as a business expense. Read all about it here, to include the applicable excerpt from the IRS website. I have bookkeeping experience in my own small business as well a few others – with the exception of payroll processing. So Ive signed up for the 3 class training, but am wondering if QB training is included in this package?also, Ideally i’d like to complete the course and become a Certified Bookkeeper- is this worth it or no? At the top of this comment section under “Our Take” paragraph,, and above the social media buttons, it says “Do you have a question for Ben? Leave a comment below and he’ll respond”….is there another place I am supposed to be looking? Sorry, a little confused. Would like to fwd the former question in the right direction but that caption is misleading…Thanks for the response!